The Palace Hotel. A newly renovated San Francisco icon unveiled. A designer's vision brought to life. Original architecture and authentic elements paired with classically inspired, modern décor. Space filled with light, color and warmth. A look that is rich, stylish, and absolutely gorgeous. It's improved upon, historic perfection. And it's befitting of The Palace. 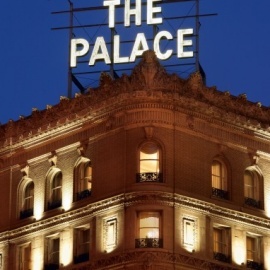 The Palace San Francisco luxury hotel is a historic luxury San Francisco hotel near the Financial District and Union Square.